The Open has started so there'll be loads and loads of stuff about golf quoted on sites throughout the world but the first one that jumped out on me was the interview on the BBC website with R&A head Peter Dawson. There is of course the danger that he has been misquoted or misinterpreted but the message in the piece regarding the fitness of purpose of Royal Portrush to host a future Open Championship. "There would be much work to do for an Open ever to go to Portrush," siad Dawson. "We have been there before. It's always, to an extent, been on our radar and our championship committee, I'm sure, will continue to evaluate it. But don't expect anything imminent - that's for sure." "If you were at the Irish Open and compare it to what we're doing here, we're talking 20,000 grandstand seats here. I doubt if there were 2,000 at the Irish Open. You're talking about a tented village here that I would estimate is 10 or more times the size than it was at the Irish Open.The crowd size at the Irish Open, while it was very, very good, was only as good as perhaps the lowest we would expect at an Open venue, ie Turnberry. Where would you put the big grandstand complex? The practice ground at Portrush would [also] need a lot of work, in my estimation. We don't have a finishing hole that would have the grandstands around it." A lot of negatives and not a lot of pluses. But is it not this mindset that has possibly caused the current problems in for example Scottish football. Everything with a commercial price but little value, biggest being best, follow the broadcasting deals and sponsorship opportunities. A lack of sporting integrity? The Open is more than some commercial opportunity and most of the big players recognise the history. I have been lucky to have watched Open first as a son way back at Murifeld in '72 and then as a father most recently at Turnberry in Ayrshire. I also had the dream job of being 18 and caddying for amateur qualifier Chris Poxon in the '82 Open at Troon. And the best was then a couple of years ago myself and the Captain, Secretary and Pro at Prestwick all went out and played from the cairn marking the spot of the original first hole of that historic course on the anniversary of the very first Open Championship 150 years earlier. And on that day of the 150th anniversary of The Open Championship there was nothing on the R&A website, no press releases issued, no recognition of it at all. We just teed off and reminisced to ourselves. None of these events ever had anything to do with money but are all full of emotion and memories. So when I see such a downplaying of such a magnificent venue you have to question whether golf is in safe hands over on the east coast. Taking The Open back to Royal Portrush would involve a host of changes for sure but are they bad? An Open that only attracted 200,000 over six days. Bad? No massive stands around the 18th. Bad? Practice ground logistics. Overcome as they have been with other venues. A smaller tented village. Well I for one could live without the overpriced branded goods that the R&A shamelessly cash in on. Taking The Open back to Royal Portrush would be so much more than a golf event. It would be (another) defining moment for the inhabitants of that country (north and south) and quite possibly end up being one of the finest, friendliest events in Open history. And even if it was a one off, never to return, the statement from golf's governing body would be clear and be inclusive and be an indication that perhaps there is still some decisions made in the game that we love that are not simply about the largest sponsorship deal possible. Maybe I'll bump into Peter Dawson at next's week's Seniors Open at Turnberry and I can ask him about why they couldn't just do something for the good of the game without undertaking a Cost Benefit Analysis. Over the past three or four months we have tried very hard to keep our comments private with regards to the new VisitScotland.com website and extranet. However as deadlines come and go with increasing regularity we have sent the following content to all of our booking engine clients explaining the situation. The content is relevant to all accommodation providers throughout Scotland and we are asking for support in ensuring that the current situation regarding the VS booking process is changed. You will all no doubt be aware that in April of this year VisitScotland launched their new website and supporting extranet package. 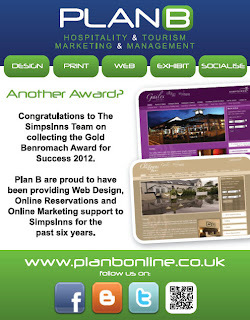 As part of the contracted proposals VisitScotland should, at the same time as launching the new website designs, have launched an integrated channel management style process which was to allow for the integration of the accommodation’s availability and price direct from their own preferred booking engine. This was in fact one of the major changes to the system and was to ensure that accommodation providers could compete fairly and utilise their own booking engine without being forced to use VisitScotland’s proprietary system. Whilst it was denied at that time by VisitScotland themselves, it became clear to us in late 2011 that this was clearly behind schedule and the programme for integration of SuperControl, FreetoBook, Bookassist and others was not likely to be ready for the March launch; it was then put back to the first week in June and we now have no definite date for this most important integration. At a meeting in May of this year we were advised by the VisitScotland digital team that the intention to create in-house “channel management” software to allow operators to link their own availability directly was being seen as extremely expensive and problematic - a position that had been made clear to them on several occasions over the previous two years – and that they were now in discussions with English based Eviivo to utilise an off the shelf channel management solution. Whilst we still have serious commercial concerns over this option it was, we were advised, a solution that could be implemented quickly. Nearly two months on from that meeting and in the middle of the tourism season we have now been advised that there are still no timescales for this integration and the position remains that the only way to update availability on VisitScotland.com is through a single system charging commissions and increased cost of sales at a time when everyone is feeling economic pain. It was a critical part of the new website development plan that has taken place over the past two years that the integration of third party booking engines was put in place to ensure that accommodation providers were able to sell their rooms direct at the lowest possible cost. VisitScotland have failed in this important commitment to the accommodation sector and as a result hotels and B&B’s are being once again forced to use a VisitScotland booking engine tool that is neither fit for purpose nor offers any completion. Bookassist in line with other booking engine providers have become increasingly frustrated with the position that VisitScotland are taking and we now believe that they are impacting directly on the revenues (and costs) of the accommodation providers by not offering the promised integration. We believe that the current position should not be allowed to continue and call on VisitScotland to implement the easiest of solutions, and one that could, and should, have been in place at the relaunch of the new website. We are simply asking for a direct link to the accommodation providers own booking page to replace the Book Now button currently in situ. Having been involved in various meetings with VisitScotland through the development process we are aware of how this could easily be done with little or no cost nor time delay and we are calling on the industry to get behind this call. Currently there is a Book Now button on accommodation providers page that links ONLY to VisitScotland’s availability. We are proposing that where the accommodation provider chooses this button should be replaced with a Book Direct button that opens a new frame opening up the booking page of the accommodation provider directly. The link would be inserted by the accommodation provider in the current Extranet area. This would only require a simple insertion of a field and button by VisitScotland in the current extranet. 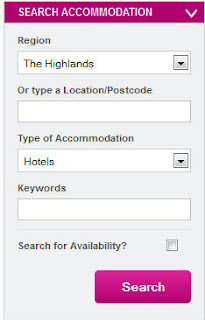 This may not provide the integrated search that VisitScotland wish to have but it does in the short term allow the visitor to access the best available and rates direct from the accommodation provider. This in the end reduces cost and improves service for both the visitor and supplier and increases the attractiveness of the VisitScotland distribution channel. At a time of difficult market conditions, booking direct remains the lowest cost of sale for all Scottish operators and we think it is incumbent on the national tourism body to facilitate ease of booking for the site visitor and where possible assist in reducing the costs of sales to accommodation providers. Given the comments we have had from accommodation providers in relation to the problems updating the new booking extranet this may be a very popular decision amongst accommodation providers. We believe that the inclusion of the Booking button could be implemented without any disruption to the new site layout with the addition of a different field pointing the booker to a window or frame. VisitScotland currently link to third party booking sites already without warning the visitor that they are leaving the site so this need not even be seen as a change of strategy and be a quick, convenient and logical fix to an issue that otherwise appears complicate, convoluted and expensive. We have been pushing for the integration of the Bookassist booking engine for two years now and with the latest delays we felt we now had to seek your support in applying pressure on VisitScotland to change their processes. This can only be of benefit to both the site visitor and accommodation provider. We are therefore asking you to reply with your own comments indicating whether your support the above statement. Please add any comments you may have regarding the new VisitScotland extranet as this may assist in producing a stronger case. Thank you in anticipation for your time. It’s official. SimpsInns landed the gold medal at last week’s glittering DRAM Awards at the Grand Central Station Hotel in Glasgow. The Ayrshire family business picked up the 'Benromach Award for Success' at the ceremony themed on the Olympics. SimpsInns owners, Malcolm and Karen Simpson, were delighted to have come out on top when up against such stiff competition. This time last year SimpsInns operated The Gailes, Irvine and the Old Loans Inn, Troon but later this year they will have five very distinctive venues. 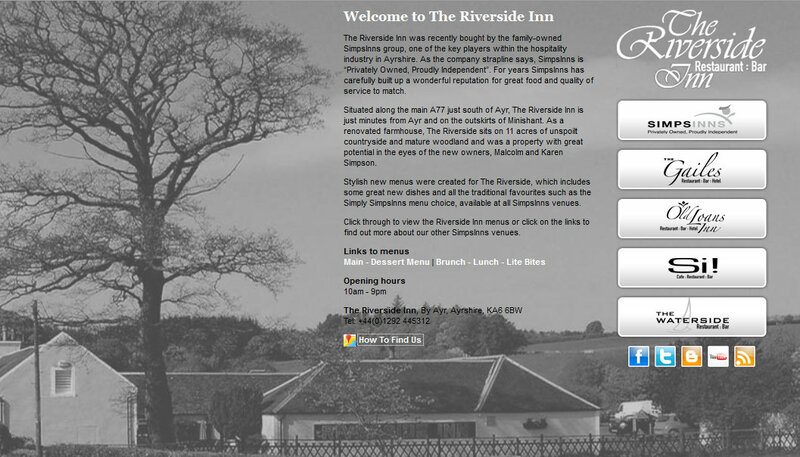 The Irvine husband and wife team recently bought The Riverside Inn, just south of Ayr on the outskirts of Minishant. The original farmhouse building is now a quaint restaurant and bar set on acres of unspoilt countryside. The new owners introduced brand new menus with some great new dishes and the ever popular Simply SimpsInns menu. Better still, there is an introductory 2 for 1 meal offer currently running at The Riverside Inn where all are welcome come and sample the latest SimpsInns venue and take advantage of this great promotion. 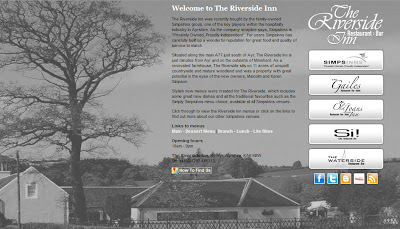 (see www.theriversideinn.co.uk for further details). Last October The Waterside opened in Seamill, West Kilbride and has proven a great success with people travelling from far and wide to enjoy the stunning water’s edge location and great food on offer. Later this year the £2million Si! Cafe:Restaurant:Bar development will open at the site of the former Golf Hotel on the Kilwinning Road in Irvine. Si! will be a contemporary build with a distinctly European/Mediterranean theme. Downstairs will house a vibrant, yet informal, bar and restaurant while upstairs will be the Italian restaurant. Such growth within the privately owned company means the owners also had to invest in new people. First off they added to their senior management team. Kevin MacGillivray, the highly regarded chef formerly of the Marine Hotel in Troon, joined SimpsInns as the group’s Food Operations Manager, while Adam Cosgrove joined as Operations Manager after a number of high profile hospitality roles in Glasgow and Arran. 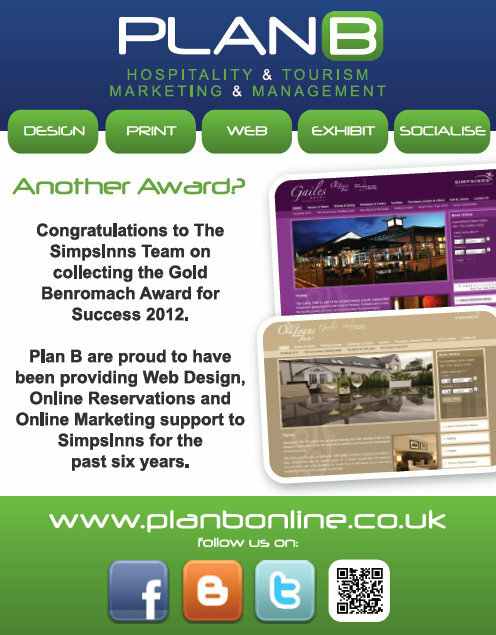 Plan B have been providing online support for Simpsinns businesses for a number of years now including provision of content managed websites, suport for social media activity and the integration of the Bookassist booking engine for accommodation reservations. What makes you leave a service provider? Well it normally takes a lot because the hassle and time involved in shifting bank accounts, or Broadband, or telephone makes it so scary that you end up putting up with the poor service as better than the thought of losing your connection, or direct debits or incoming payments. The opposite is however also true and we use social media and customer review sites more too often to criticise bad practice rather than promote good service. I know I do. So when you get something as exceptional as the service I've just received then you really should share it. Yesterday I received a text from my business mobile company O2 in Irvine saying that I now had access to a Guru named Stuart. Great idea I thought. This morning I got a postcard from O2 in Irvine giving me more detail and advising that I now had access to Stuart via a mobile number or an email address. Great reinforcement of a great idea! Now for two weeks I've been trying to figure out how I could synchronise my Google Apps for Business. driving me absolutely nuts and I spent seriously eight hours, maybe more, trying to fix it. So with nothing to lose a quick email to O2 Guru Stuart; the first reply suggested that he couldn't help as it would require changes to certain things that he couldn't fix. Five minutes later however a phone call saying that he had reread it and would come back to me if there was anything he could find. Another five minutes passed and an email arrived with a techy type link but with easy to follow advice on what I'd done wrong. Ten minutes later, mild punching of the air and a fully synchronised communications network now working between Google Mail, iPhone and outlook on the the laptop. Now when BT next phone me up from a call centre somewhere asking me if I'd like to switch my mobile, landlines and telephones back to them what do you think my response will be? Almost without exception I have found the support from O2 Business to be exceptional. Exceptional may be hyperbole or not but customer care is only tested when things are going wrong. It's how you handle the negative issues that determine all of our future relationships with a client or supplier. 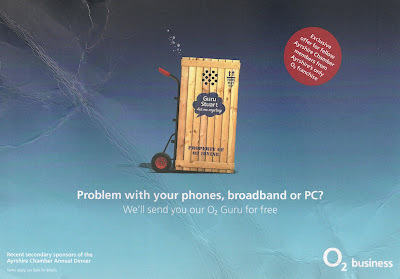 When things go wrong with O2 - and they have - the ethos is let's sort it together. So here I am feeling better about myself this afternoon because I'm praising someone! Feels great! And if it gets up the line to O2's customer service team then even better because Stuart in Irvine has made my working day, week prhaps even my month infinitely smoother than it was looking at ten o'clock this morning. Key findings from the Edinburgh Tourism Accommodation Audit 2012, undertaken on behalf of ETAG in partnership with Scottish Enterprise were released last week. The audit, hailed as the most comprehensive analysis of Edinburgh’s visitor accommodation provision ever undertaken, shows that the city hosts 12,910 bedrooms in 529 establishments in the serviced accommodation sector (hotels and related types) and 7,353 bedrooms in the non-serviced sector (self-catering, apartments, hostels etc) throughout the year. The audit also shows that the number of additional rooms available during the Festival period has increased substantially, rising from 20,437 to 27,504, with the biggest growth coming from the campus, self-catering and hostel sectors. This allows the city to accommodate over 50,000 visitors per night during August. Compared with the previous audit carried out in 2006, Edinburgh has seen growth across all accommodation types, providing an additional 6,422 rooms in total. The single largest growth area has been seen in the non-serviced stock, with the serviced apartment sector showing the biggest increase, from 630 to 2,019 rooms, an increase of 220%. The report also identifies that there are currently 765 new hotel bedrooms under construction and which are due to open in 2012/13. The audit highlighted a number of key issues, such as the need for the city to maintain a balanced accommodation portfolio to meet the demands of both the leisure and business markets and ongoing concerns about the perceived high cost of accommodation in Edinburgh, particularly during peak seasons such as the August Festival period and Hogmanay. These issues will have to be addressed in order to keep in line with the goals of the National Tourism Strategy for Scotland but the outlook for Edinburgh is positive and with continued and growing tourism to the area, visitors will be encouraged to explore Scotland’s other treasures, resulting in a healthy and growing hospitality industry nationally. This is a rant and if I was Irish I'd be saying fecking quite frequently. So please feel free to fill them in where you think appropriate. One paragraph of background first. It is hard to quantify what the public bodies have spent on VisitScotland.com since they embarked on their "new" digital strategy ten years ago but it could be well in excess of £30 million quid all in when you take all the externals, buy outs, redesigns, restructurings, pay offs, legal bills, salaries, consultants, EC meetings; they will maybe contest the detail but you get the picture. It's been a shed load of investment. The current campaign for Brave which is by VisitScotland's own hyperbole the next big thing for Scottish Tourism has had £7 million earmarked on it. We heard maybe more. Yup that's right folks, we're with you all the way on this new fangled social media stuff and we'll tell you about on Monday when we get back into the office. We understand the immediacy of social media and we recognise that we can get access to pictures that others can't and we'll tell you about it on Monday. We also recognise that our Chairman and First Minister have fronted a publicly funded £7 million campaign and we'll try and get it online for you but it may be after morning coffee as there's a lot to talk about first. Seven or eight posts on their Twitter account and not a word on Facebook? (Not even a Facebook post to say why don't you follow us at the event on Twitter. Too obvious?) Too much bother having to write real sentences or something? No blogs. No website feature pages. Nothing on the industry website. Nothing on LinkedIn. SEVEN MILLION QUID - the difference is in the detail. How often have we heard it's the little things that we do that diffeerentiate us from the competition. There was a whole tourism strategy launched last week based on such differences. 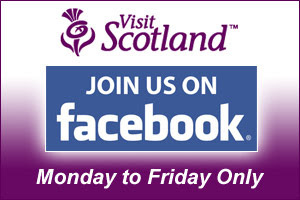 Now anyone who has read any of our posts knows we do not beleive that Social Medi is anything but a small part of a hospitlaity business' distribution strategy but with the resources that VisitScotland have to hand you'd think they could at least make a bloody effort. We don't have the clout or distribution and it may be that it will just be written off as another insignificant moan at VS.com but perhaps it should be seen as a clear indication of an organsiation claiming one thing but clearly not getting it. They wouldn't be the first Scottish institution that needed claoer examination. Is it a further reflection of a disjointed digital strategy that has no real understanding of what online destination marketing should be about and reinforces once again that they should just leave this to the private sector to deal with. Stop playing at being a poor man's search engine; stop trying to sell things online that you have no authentic experience of; stop spending millions of public money on things that others are already doing a lot better. For a decade, VisitScotland, and the succesive governments funding them, have played at it with millions of taxpayers with no fear of being held to account for more than a decade of failing to get any of it right. The blog hasn't had an update since 18th of June and this is with the new online marketing strategy in place? The booking engine doesn't work properly, comments we have is that their extranet is more complicated than the one they've just upgraded from; the website is dark and underwhelming and they are in the process of having to contract another third party for the provision of a "channel manager" to handle online reservations through their. It is always was and always will be beyond the public sector to drive an online marketing strategy from the top down. No-one held account for failure, or the U turns, or the increasing costs, or the missed deadlines and failed deliveries. Now it may not be the scale of Barclays or the RBS or the trams or but you know what it is all cut from the same cloth. A lack of corporate responsibility and accountability. You know posting about a Monday to Friday social media presence may seem a small thing but I'm not sure that there is anything that reflects more clearly on a complete lack of understanding of the media and spotlights the whole fragmented strategy than something so simple. However does anyone in Scotland actually give a feck?